Comparing contractor quotes is an important step in the journey to save on your HVAC improvement project, whether you are replacing an air conditioner or upgrading the furnace heating your home. A recent Modernize survey revealed 63 percent of homeowners compare three to four contractor estimates ahead of a home improvement project. Evaluating multiple HVAC replacement quotes helps homeowners scope their budget and encourages contractors to be competitive with their pricing, which is especially significant when more than 75 percent of American homes use air conditioning and nearly all new homes get built with central air systems. It’s important to understand your project’s unique parameters and why quotes may differ from each other so you avoid costly mistakes in the heat of the moment. The terminology used with your HVAC project is important. You may receive quotes, estimates, or bids from local contractors, but these contain different sets of information. An estimate on a project is roughly how much the professional believes the job will cost. A contractor will use their past experience and expertise to make this estimate. The actual cost of the project may be more or less—within 10 to 15 percent. HVAC replacement quotes, or bids, become contracts once they are signed. This should be a very detailed document that outlines all aspects of the project. At Modernize, we pair homeowners with contractors that offer free HVAC replacement quotes for the project. Once you have received multiple quotes, it’s important to carefully consider each. Your HVAC contractor’s quote should be transparent, detailed, and even lengthy—depending on what it will take to replace or repair your HVAC unit. Every detail of the project should be noted, including the cost of materials, start and finish dates, and hourly rate. Your quote should also include factors like disposal of old systems, if applicable, or perhaps permits. Labor should also be included in your quote. Investing in an HVAC replacement or finally facing a long-needed HVAC repair could substantially lower your utility bills. Top air conditioning systems use between 30 and 50 percent less energy to produce the same amount of cooling as A/Cs made in the mid-1970s, according to the Department of Energy. “Even if your air conditioner is only 10 years old, you may save 20 to 40 percent of your cooling energy costs by replacing it with a newer, more efficient model,” it predicts. In recent surveys of homeowners who upgraded their HVAC systems, half told us they financed and half told us they had saved in advance. Of course, an HVAC emergency does not allow anyone the opportunity to save. If you are not already throwing quarters into a piggy bank, you might be interested in financing your project. Financing can either be self-propelled through a loan you take or it can be part of the HVAC contractor’s quote. Additionally, there are programs that will assist with financing your project, like Property Assessed Clean Energy (PACE), a state-based program through which eligible homeowners can “finance energy efficiency and other eligible improvements,” according to the Energy Department. Whatever your choice, you should consider options. If one of those options is your contractor, be sure their quote includes all applicable details. It is important to consider the numbers—as well as how they are presented. A good contractor will make sure the information is in an organized document. If your quote is not properly itemized, feel comfortable asking for a revised quote before signing a contract. 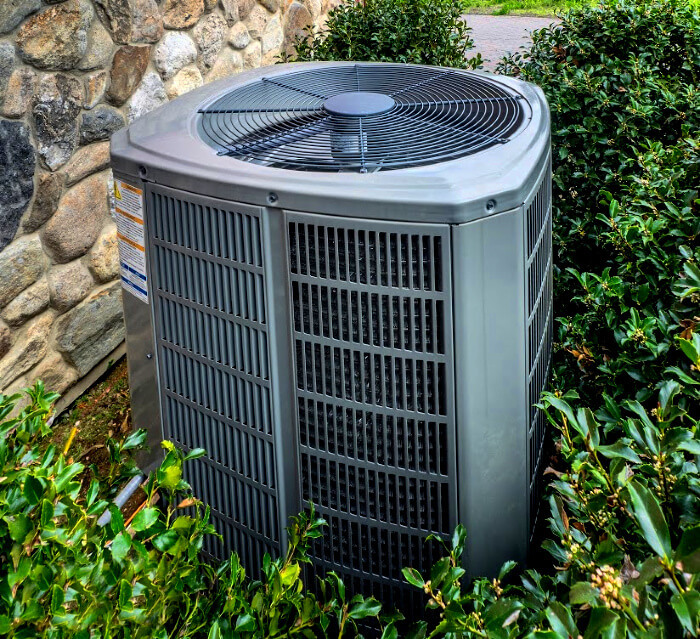 It is reasonable to assume replacing an A/C unit or the system heating a home means installing a new one sized similarly to the old one, but that is not always the case. Homeowners might expect the cost for HVAC replacement to come close to its initial installation, as well, but that is also not always the case. Advances in technology, not to mention new climate norms, HVAC market changes, and manufacturers’ costs could affect the availability and quality of systems meeting your needs. In turn, this means bids can be different. Extremely low bids can be the sign of a scam—and extremely high bids could be just as concerning. It’s important to understand why an estimate or quote is extremely high or low. High-end contractors will likely have more equipment and overhead. HVAC replacements can vary drastically in price. These disparities could be due to the type of unit—how quiet an air conditioning system is, for example. We encourage homeowners to research the HVAC system best suited for their homes and needs. 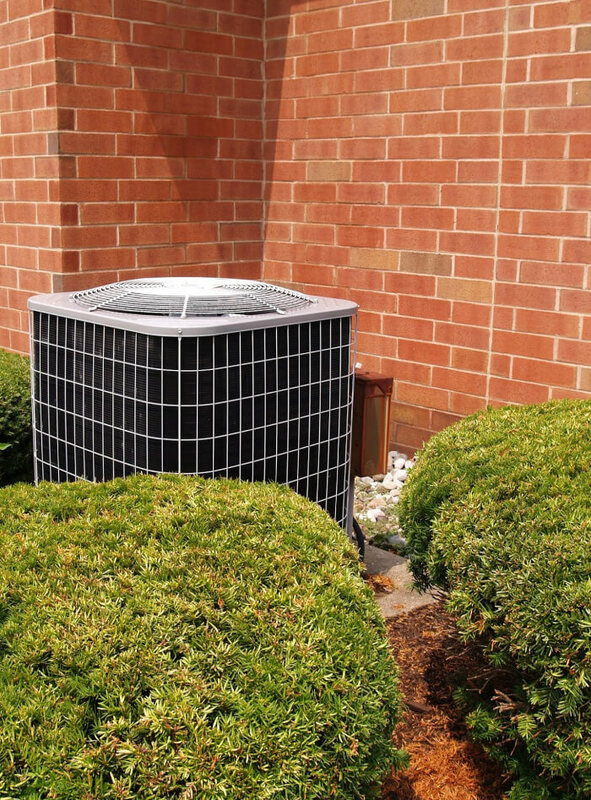 HVAC systems can also vary in price depending on hardware other than the main units themselves. For example, the average cost for a ductless air conditioning system installation in a 2,000-square-foot home is between $3,000 to $8,000. Another example is the increasingly popular smart thermostat, which could cost as little as $30 or as much as $300. Warranties will also impact your quoted cost. Most installers offer manufacturer’s warranties that protect you from faulty equipment. Some might offer additional guarantees for the installation as well, covering potential damage to your roof. Be sure the quoted warranty is clear in what it covers—and in what it doesn’t. Research and be aware of hidden costs— like permits and potential fines. Your quote should include a proper breakdown of how local or federal regulation applies to you and what your contractor will or will not do in that regard. For example, if your installed HVAC system’s Seasonal Energy Efficiency Ratio (SEER) rating is lower than 13, the Department of Energy might flag your contractor for selling it. Expect an analysis of what your bills should look like after the installation, and how you should expect these costs to change in upcoming years. A SEER rating of 16 could mean saving upward of $400 annually, for example. If a contractor does not have proper insurance (or any at all), they will often provide a lower bid. This may leave the homeowner responsible for laborer injuries or damages that occur. Modernize recommends that homeowners always select a licensed contractor for their home improvement project. If a contractor doesn’t have a solid grasp of local policies or applicable local, regional, and federal incentives—like the ones found at the Database of State Incentives for Renewables and Efficiency, they may leave that to you and subsequently lower their fees since they have less paperwork to worry about. While a contractor may charge you for help navigating the bureaucracy of HVAC regulation, a good contractor will assure your energy compliance and maximize your return on investment utilizing expertise you may lack. Extremely low bidders may also be desperate for a job, which is never a reassuring sign. For both high and low bids, always check your HVAC replacement quotes for errors. Contractors are human and, while rare, errors can happen. Communicate any and all questions and concerns with your contractors. Vetting your contractors will ensure you find the best, reliable installer for your project. Visit their website to ensure it is professional looking and updated. Check review sites and make sure they are accredited through the Better Business Bureau. Look at a contractor’s content information to make sure they have a physical address and not a P.O. Box (which can be a worrisome sign). If something feels off about a contractor or business— go with your gut. To help homeowners easily vet and find a trusted HVAC contractor, Modernize recently created a free contractor checklist. You can access the interactive checklist by visiting the Modernize Homeowner Portal or by downloading it here. Remember, you can always negotiate with your contractor on the price for the successful project before signing a contract. Discuss your budget with your contractors. Agree that any unexpected project expenses will be presented in writing to help you remain within your budget. Lastly, keep all estimates, quotes, and contracts in a folder, so you can reference these details easily if you have any questions or concerns throughout your HVAC replacement or repair.